The European Accessibility Act was adopted in the European Parliament on March by an overwhelming majority. The Act is a proposal for a law to make many products and services in the European Union more accessible for persons with disabilities. While accessibility will be improved for products such as computers, smartphones, tablets, TV sets, banking ATM and services, the Act still does not cover many important areas such as transport, built environment and household appliances. The Directive will improve the accessibility of a set of products and services for persons with disabilities, such as computers, smartphones, tablets, TV sets, banking ATM and services, payment terminals, e-books and e-readers, e-commerce websites and mobile apps and ticketing machines. It will also ensure that national market surveillance authorities have the competence to hold private entities accountable. 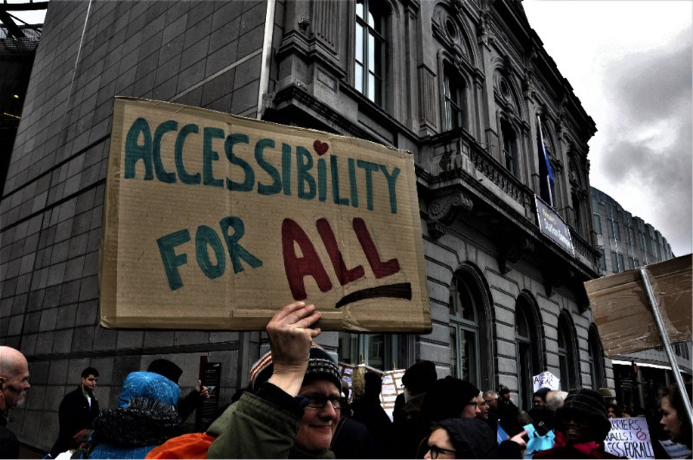 The European Accessibility Act also fulfilled two important demands from the disability movement: electronic telecommunications and the 112-emergency number will become accessible to everyone throughout the EU. The requirements of the Act will also support the public procurement rules for accessible products and services, so public authorities do not anymore use tax payers’ money in products, services and facilities that are discriminatory of persons with disabilities. However, Act still does not cover many important areas such as transport, built environment and household appliances. Additionally, microenterprises providing services are exempt from complying with the requirements of the Act which will reduce further the Act’s impact. At present, two steps remain to be made: the Council of the EU needs to give its formal approval and the Act has to be published in the EU’s Official Journal. Member States will then have 3 years to transpose the Directive (translate the Directive into national legislation).